In supporting recent anti-government protests in Iran, both Iranian hardliners and the US State Department may want to be careful what they wish for. Not only are the protests unlikely to spark the kind of change either of the two adversaries may be hoping for, they also are refusing to stick to the different scripts the Trump administration and opponents of Iranian President Hassan Rouhani read into them. For Iranian hardliners, the joker in the pack is what US President Donald J. Trump decides in January to do with the 2015 international agreement that put curbs on Iran’s nuclear program. Mr. Trump will have to again choose whether to certify Iranian compliance as well as extend the temporary waiver of US sanctions on Iran. In October, Mr. Trump refused to certify and threatened to pull out of the agreement if Congress failed to address the agreement’s perceived shortcomings. Members of Congress have been trying to draft legislation that would give Mr. Trump a face-saving way of maintaining the agreement by claiming that Iranian compliance ensures includes acceptance of restrictions on the country’s ballistic missile program and support of regional proxies. It was not clear whether Washington’s deeply polarized politics would allow for a meeting of the minds of Republicans and Democrats. Iranian hardliners would be strengthened if Mr. Trump failed to maintain US adherence to the agreement and would likely see it as a US breach of the accord. Mr. Trump and Ms. Nauert appeared oblivious to the fact that unlike the 2009 mass protests against alleged fraud in presidential elections, the largest since the 1979 toppling of the Shah that were dubbed a Green revolution and brutally squashed, this month’s demonstrations may have been in part prompted by a hard-line effort to exploit widespread discontent to undermine Mr. Rouhani. If so, Iranian hardliners may be overestimating their ability to ensure that the protesters in a host of Iranian towns and cities, whose numbers range from several hundred to a few thousand, restrict themselves to taking the government to task on economic policy, particularly price hikes and fraudulent financial schemes that have deprived victims of their savings. Various of the protests have turned into opposition to the very system hard-liners are seeking to defend by demanding a release of political prisoners and the shouting of slogans some reminiscent of the 2009 demonstrations, like ‘Death to the Dictator,’ ‘Leave Syria Alone, Do Something for Us,’ ‘You Are Using Religion as a Tool, You Have Ruined the People,’ and ‘What a mistake we made, by taking part in the revolution,’ to ‘Reza Shah, Bless Your Soul,’ a reference to the founder of the toppled Pahlavi dynasty. No doubt, the protests reflect widespread grievances, particularly among the Islamic republic’s working and lower middle classes. Expectations that the benefits of the lifting of crippling international sanctions as part of the nuclear agreement would trickle down have so far been dashed. Many criticized on social media a widely debated new government budget that cut social spending but maintained allocations for religious and revolutionary institutions. Many also objected to a hiking of the exit tax that Iranians pay to travel abroad. The Iranian economy has since the lifting of sanctions emerged from recession, but businesses still suffer a lack of investment while the official unemployment rate has increased by 1.4 percent to 12.7 percent despite economic growth. The government’s policy of allowing Iran’s currency to devalue has fuelled inflation and driven up prices of basic goods like eggs that recently rose by 40 percent. Nonetheless, the anti-systemic nature of some of the protesters’ slogans speaks to the fact that popular grievances are not purely economic. Many question the government’s investment of billions of dollars in struggles in places like Syria and Yemen as part of its bid to enhance the Islamic republic’s regional position and compete with Saudi Arabia for regional dominance – a policy supported by the hardliners. They feel that the funds could be better employed to improve the economy. The first protests in the latest round of demonstrations erupted on Friday in Mashhad, Iran’s second largest city, that is home to conservative cleric Ebrahim Raisi, who was Mr. Rouhani’s main challenger in last May’s presidential election. Mashhad is also home to Mr. Raisi’s father-in-law, Ayatollah Ahmad Alamolhoda, a hard-line Friday prayer leader and former prosecutor general and an opponent of Mr. Rouhani’s cautious loosening of strict social mores and encouragement of greater cultural space. Mr. Alamolhoda charged that the anti-regime slogans came from a small group that was trying to disrupt the protest. The protests erupted almost to the day on the eighth anniversary of the Green Revolution. 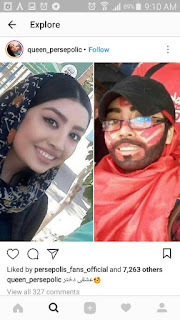 The latest round built on weeks of smaller protests focused on issues ranging from unpaid wages to bank fraud and embezzlement to environmental issues that appeared to have no connection to any one political group in Iran. Protesters in Mashhad took to the streets a day after the police chief in the capital Tehran announced that women would no longer be detained or prosecuted for failing to observe strict dress codes imposed immediately after the 1979 revolution. The police chief said violators of the code would receive counselling instead. Younger, more liberal women have long been pushing the envelope on rules that obliged them to cover their hair and wear long, loose garments. It was not immediately clear what prompted the policy change. Domestic pressure was certainly one driver, but so may have been a desire to compete with Saudi Arabia whose crown prince, Mohammed bin Salman, has grabbed headlines with lifting social and cultural restrictions with measures like a lifting of the ban on women’s driving and creating an entertainment sector. A litmus test of Ms. Hakakian’s assertion may be whether Iran follows Saudi Arabia in lifting a ban on women attending male sporting events. An Iranian sports scholar said in a private exchange with this writer that individual women had slipped into soccer matches in Tehran in recent days dressed up as men. A female protester took off her hijab in one of the recent demonstrations in protest against the dress codes. The Trump administration’s emphasis on the anti-systemic nature of some of the protests and the hardliners loss of control of demonstrations that they allegedly hoped would focus solely on squeezing Mr. Rouhani takes on added significance with the fate of the nuclear accord hanging in the balance. Hardliners have long opposed the deal because it restricts Iran’s military capability, threatens the vested interests of the Revolutionary Guards and other hardliners, and has not produced expected economic benefits. The anti-government protests may well constitute a hard-line effort to set the stage for a potential confrontation with the US. If so, protesters have so far not followed the script. The protests, while spreading across the country, have failed to mushroom into truly mass demonstrations and could well turn as much on the hardliners as they target Mr. Rouhani. By the same token, a US pull-out from the nuclear agreement could fuel increasing nationalist sentiment in Iran that could prove to be a double-edged sword, particularly for Iranian hardliners. Revolutionary Guard media personnel gathered in 2011 to discuss the waning appeal to Iranian youth of the hard-liners’ religious rhetoric and opted for nationalism as a way of bridging the gaps in society that had become evident in the 2009 protests. “The youngest generation in our country doesn’t understand our religious language anymore. We’re wasting our time with the things we make. They don’t care about it. That’s why so many of them were in the streets protesting against our system,” a Guards captain told the gathering. If the protests in recent days prove anything, it is that the nationalism fostered by the Guards and other arms of the government could well take off in unintended directions. That may unintentionally serve US policy goals. It could also spark a much harsher crackdown and a solidifying of hard-line power. Saudi Arabia’s hosting of an international chess tournament focuses attention on the fundamental problem wreaking havoc in international sports governance and shines a spot light on the limitations of covert Saudi-Israeli cooperation in confronting Iran and political Islam and the Palestinians’ ability to be a game spoiler. By seducing the World Chess Federation (FIDE) to grant the kingdom hosting rights with a $1.5 million check that amounted to four times the federation’s standard annual fee, Saudi Arabia joined the likes of Qatar and the United Arab Emirates in using sports to polish its troubled international image. The Saudi effort comes at a time that Crown Prince Mohammed bin Salman is seeking to convince Saudis, the kingdom’s allies, and foreign investors that he is diversifying and reforming the economy and transforming a nation imbued by Sunni Muslim ultra-conservatism into a 21st century, knowledge-driven state. The tournament takes place almost two years after the kingdom’s grand mufti and top religious authority, Sheikh Abdulaziz al-Sheikh, opined that Islam forbids chess as a form of gambling and a waste of time. The Saudi bid faced two obstacles: strict dress codes for women and Israeli participation. The way the kingdom sought to overcome the obstacles says much about Prince Mohammed’s approach and the limits of his ability to introduce change. Women’s dress codes proved easiest to address and served to highlight Prince Mohammed’s moves to increase women’s participation in the work force, lift a ban on women’s driving, and grant women access to male sporting events in a limited number of stadiums. Saudi Arabia’s concession on women’s dress codes for the chess tournament mirrored the limited nature of Prince Mohammed’s reforms for women that failed to challenge the core of discriminatory practices in the kingdom: male guardianship that gives men the power to decide for women. Similarly, in a country that insists on women being fully covered, female participants in the chess tournament are not entitled to dress the way they may want to. Instead, they can avoid the hijab by wearing dark blue or black formal trousers and a high-necked blouse. Allowing at least seven Israelis to participate in the tournament would have been far trickier. It would have been the first time that Israelis would have officially been allowed to travel to Saudi Arabia and would inevitably have been seen as yet another indication of increasingly close, albeit covert, ties between the kingdom and Israel. Saudi Arabia’s refusal to grant the Israelis visas demonstrated that an Israeli presence would have been a bridge too far. It would have added to mounting indications that Saudi Arabia has been willing to compromise on minimal Palestinian conditions for an Israeli-Palestinian peace, including control of East Jerusalem, in its effort to work with Israel in confronting Iran and political Islam. The refusal’s underlining of the sensitivities evoked by Palestine is all the starker when contrasted with Saudi Arabia’s willingness to grant entry to a player representing Qatar despite the fact that the kingdom six months ago cut off all economic, diplomatic and air, sea and land links to the Gulf state in a so far failed bid to force it align its foreign and defense policy with that of its bigger brother. By refusing the visas, Saudi Arabia demonstrated that the Palestinian issue may not be the root of the Middle East’s multiple problems, but that its resolution is a sine qua non for normalizing Israel’s relations with much of the Arab and Muslim world and facilitating cooperation and the pursuit of perceived common interests. The refusal also shielded the kingdom from possible controversy during the tournament if some players refused to sit at a chess board with an Israeli. A unidentified Palestinian champion had already declared that he would refuse to play an Israeli. “We are not in a normal situation with Israel, so I can’t act as if it is,” the player said. If other recent sporting events are anything to go by, more players may well have adopted a similar attitude. Saudi judoka Joud Fahmy bowed out of the first round of the 2016 Olympics in Rio de Janeiro to avoid competing against Israel’s Gili Cohen. The Saudi Olympic committee declared at the time that Ms. Fahmy had suffered injuries during training. The sensitivity of projecting normalcy in relations with Israel was also evident in October when Israelis participated in the Abu Dhabi Grand Slam judo tournament. Israelis took part as representatives of the International Judo Federation rather than their country, and were banned from displaying national symbols. Ironically, the UAE is the only Arab country to host an Israeli embassy, even if it is not accredited to the Emirates, but to the Abu Dhabi-based International Renewable Energy Agency (IRENA). The embassy, nonetheless, is Israel’s diplomatic presence in the Gulf. All of this, coupled with some national chess federations and players protesting against FIDE’s decision to grant Saudi Arabia hosting rights despite its human rights record and refusal to ensure all qualified players would be able to participate, testifies to the inextricable relationship between sports and politics. Literally everything involving Saudi Arabia’s hosting of a chess tournament is political. The very fact that Saudi Arabia is the host is political. FIDE’s decision to look the other way in exchange for a financial contribution when it comes to access for players and women’s rights is political. Saudi Arabia’s visa policy is political as is the kingdom’s willingness to concede on women’s dress. Yet, FIDE like all other international sports federations denies that there is any link between sport and politics. The denials enable a world in which political corruption is at the root of sports’ multiple scandals involving financial and performance corruption and in which transparency and accountability are rare quantities. 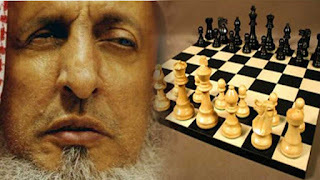 The chess tournament in Saudi Arabia like the judo competition in the UAE suggests that an ungoverned relationship between sports and politics raises not only fundamental problems of governance but impinges on players’ rights. The chess tournament also suggests that it takes much more than a sporting event for a country to successfully polish its tarnished image. The Killing of Ali Abdullah Saleh - Is Peace in Yemen Possible? The Middle East being the Middle East, everything is interrelated. What happens in the region impacts Yemen and what happens in Yemen impacts the region. The crisis in Yemen, like many conflicts in the Middle East, did not originate with the power struggle between Saudi Arabia and Iran, but inevitably get sucked into it. Yemen was a Saudi problem long before it took on the mantle of a Saudi-Iranian proxy war and it may be the conflict that is most important and most sensitive for the kingdom. It also may be the proxy war that comes to haunt Saudi Arabia the most. Beyond cross-border tribal relationships, Yemen, a devastated country where recovery and reconstruction is certain to be a slow process, is likely to have a next generation that will be deeply resentful of Saudi Arabia with all the political and security implications that go with that. More immediately, two recent factors stick out that potentially have significant geopolitical consequences. First, the recent meeting between the crown princes of Saudi Arabia and the United Arab Emirates, Mohammed bin Salman and Mohammed bin Zayed, with leaders of Yemen’s Islamist Islah party in the wake of the killing of former Yemeni president Ali Abdullah Saleh. The presence of Mohammed bin Salman at the meeting was far less remarkable than that of Mohammed bin Zayed and it is not clear what it means. It is Mohammed bin Zayed rather than Mohammed bin Salman who is truly uncomfortable with any expression of political Islam and certainly with any link to the Muslim Brotherhood. Islah remains an Islamist party even if it announced in 2013 that it had cut its ties to the Brotherhood. The question is whether Mohammed bin Zayed, who for the almost three years of the Yemen war opposed Saudi cooperation with Islah, sees an alliance with the party as an opportunistic one-off move or whether it signals a shift in policy that could be repeated elsewhere in the Middle East. If so, that would have consequences for the dispute with Qatar and there is no sign of that. In fact, Saudi Arabia signalled days after the meeting that there was likely to be no quick end to the dispute with Qatar by declaring its closed border crossing with the Gulf state permanently shut. Similarly, recent satellite pictures show that the UAE air force is gearing up for greater military engagement against Islamists in Libya. As a result, the significance of the meeting is likely to be limited to Yemen. Nonetheless, the way the meeting was arranged is significant and tells a story that goes far beyond Yemen. The crown princes sent a private plane to Istanbul to pick up the Islah party representatives from an Islamic summit called to discuss US President Donald J. Trump’s decision to recognize Jerusalem as the capital of Israel. It was a summit the two men decided not to attend and at which they were represented by lower officials. The message was: Jerusalem and the Israeli-Palestinian conflict was not their priority and their opposition to Mr. Trump’s move was skin deep. Their priority was the war in Yemen and the larger regional battle with Iran for dominance of the region. In some ways, Saudi Arabia and the UAE’s risky strategy has already backfired. It has given the Brotherhood, violently suppressed in Egypt, outlawed in much of the Gulf and marginalized elsewhere in the region, a new lease on life. Mr. Trump’s decision offered the Brotherhood an issue to rally around in an Arab world intimidated and cowed by the violence, repression, insurgencies and civil wars that have characterized it since the 2011 popular Arab revolts that toppled the leaders of Tunisia, Egypt, Libya and Yemen. With a long history of opposition to a US-mediated Israeli-Palestinian peace process, the Brotherhood has emerged in the front lines of many of the protests against the president’s recognition of Jerusalem. Muslim Brothers organized the biggest popular protest in Jordan in a decade and demanded the closure of the Israeli embassy in Amman. Beyond leading demonstrations in Kuwait, Brother members of parliament called on the government to review its ties with Washington and disinvest from the United States. Mr. Trump’s move has also strengthened Brotherhood offshoots like Hamas, the Islamist group that controls the Gaza Strip. Confronted with protests against its inability to break a crippling, economic stranglehold by Egypt, Israel and the Palestine Authority that starved the Strip of electricity and forced government workers to go unpaid for months, Hamas was forced by the UAE and Egypt to enter into a reconciliation agreement with Palestinian President Mahmoud’s Abbas’ Al Fatah movement and entertain an independent governance position for powerful but controversial, Abu Dhabi-backed former Palestinian security chieftain Mohammed Dahlan. The second factor are Houth ballistic missile strikes, including the firing in November of a projectile at the international airport of the Saudi capital Riyadh, subsequent claims and denials of a Houthi missile fired towards the UAE, the December 2017 targeting of the Al Yamama palace of the Saudi royal court as King Salman and Prince Mohammed were chairing a meeting of the kingdom’s leaders, and the Houthi threat of further attacks. A Saudi military spokesman said the kingdom had intercepted 83 ballistic missiles since the Yemen war started almost three years ago. There is little doubt that the Saudi-UAE intervention in Yemen has fortified ties between the Houthis and Iran. Yet the recent theatrical display of Houthi missile parts and other weaponry that was made possible by Saudi Arabia and the UAE left their provenance in doubt. There was no smoking gun that established beyond doubt that Iran could be held responsible for the missile strikes. The missiles and other items could well have originated in Iran, they could also have come from elsewhere. Whether supplied by Iran or not, United Nations monitors reported to the Security Council that remnants of ballistic missiles launched into Saudi Arabia by Houthi rebels appeared to have been designed and produced by Iran. Iran insisted that it had not supplied the missiles, but said it would continue to support the Houthis and other “resistance forces” in the region. “Victory in Iraq, Syria, Lebanon and Yemen will continue as long as the resistance coalition defends its achievements. And as long as necessary, we will have a presence in these countries… We must assist these countries and establish a barrier against the American influence,” said Ali Akbar Velayati, a senior aide to Iranian Supreme Leader Ali Khamenei and former foreign minister. Mr. Velayati’s remarks appeared to contradict Iranian President Hassan Rouhani’s denial that Iran had a military presence in Yemen and was assisting the Houthis. So did an earlier admission by Islamic Revolutionary Guards Corps commander Mohammad Ali Jafari that Iran was providing the Houthis with “advisory military assistance,” the phrase the Islamic republic used for its support of militias in Syria and Iraq. The Houthis, a fiercely independent actor have, irrespective of the degree of Iranian support, repeatedly demonstrated, however, that they do not take orders from Tehran and at times ignore its advice. Iran opposed the Houthi move on the Yemeni capital of Sana’a to no avail and was against a Houthi advance in the south. The Houthis could well against Iran’s will throw another monkey wrench into the fragile Middle East mix if they continue to target Saudi and/or Emirati cities. The attacks would ultimately elicit a harsh response. The question is who would respond and what would the target be. The answer seems at first glance obvious. It would be a Saudi and/or UAE response and the target would be the Houthis in Yemen. The deployment of a new, American-trained and supplied Saudi National Guard helicopter unit to the kingdom’s border with Yemen suggests an escalation of the Saudi-UAE campaign. The Pentagon said 36 AH-64E Apaches, 36 AH-6i Little Birds, and 72 Sikorsky UH-60M Blackhawks bought from the US at a cost of $25 billion would be used to protect Saudi Arabia’s borders and oil infrastructure. The deployment constitutes the first expansion of the Guard’s mission beyond protecting the ruling Al Saudi family, guarding oil facilities, and providing security for the holy cities of Mecca and Medina since Prince Mutaib bin Abdullah, a son of former King Abdullah, was relieved of his command of the Guard in November and detained by Prince Mohammed on corruption charges alongside other princes, senior officials and prominent businessmen. The retaliatory target could, however, also be Iran and the response could be one in which the United States participates. The implications of such an escalation could be massive. “An Iranian missile fired at Riyadh sheds light on an important bottom line dynamic in the region: the Saudis have a far superior air force, defence system and navy than the Iranians. They have a better equipped military intelligence apparatus and far superior munitions… (Iran) has been wreaking havoc in the Middle East on its own terms and drawing on its own strengths. It must realise that such recklessness could cause its regional adversaries to draw on their competitive advantages,” said Middle East analyst Mohammed Alyahya. A broader regional military altercation would occur at a moment that emotions are raw in the wake of Mr. Trump’s decision on Jerusalem and because protesters are already on the streets of various Middle Eastern cities. A strike against Iran involving the United States could turn fury about Mr. Trump’s Jerusalem decision against Arab leaders who would be seen to be cooperating with the United States and willing to sacrifice Palestinian rights to work with Israel. Soccer fans in Algiers who were protesting against the decision recently provoked Saudi Arabia’s ire by carrying placards depicting Mr. Trump and Saudi King Salman as two sides of the same coin. While the protests in recent week were primarily directed against the United States and Israel, they often had an undertone of criticism of Arab regimes that were seen to be meek in their response to Mr. Trump’s decision or in cahoots with the United States. Ironically, differences among Arab leaders about how to respond to Trump’s Jerusalem decision may have temporarily prevented the Saudi Crown Prince from adding Palestine to a string of failed foreign policy moves aimed at escalating the kingdom’s proxy war with Iran. Prince Mohammed’s devastating intervention in Yemen, botched effort to force Lebanese Prime Minister Saad Hariri to resign, and hamstrung boycott of Qatar have backfired and only strengthened the Islamic republic’s regional influence. Inadvertently, Palestinian President Abbas and Jordanian King Abdullah did Prince Mohammed a favour when they reportedly rejected pressure by the prince not to participate in the summit of Islamic countries in Istanbul. Mr. Abbas may have further shielded the Saudi leader when his refusal to further accept the United States as a mediator was adopted by the summit. The two leaders’ stand, coupled with the summit’s rejection of Trump’s move, make it more difficult for Saudi Arabia and the UAE to endorse any resolution of the Israeli-Palestinian conflict that does not recognize East Jerusalem as the capital of Palestine. The problem is that the Saudi and UAE crown princes run the risk of misreading or underestimating public anger and frustration in significant parts of the Arab and Muslim world. 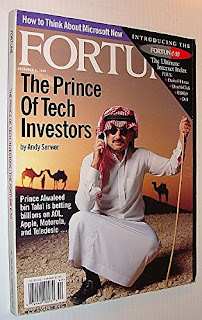 The Saudi crown prince responded to the two leaders’ defiance by briefly arresting billionaire Jordanian Palestinians businessman Sabih al-Masri, who also has Saudi citizenship. “The Saudi detention of Masri was a crude but brutal political message to…King Abdullah and…President Mahmoud Abbas on how to behave on the Jerusalem issue and regional alignments. Riyadh wanted to signal to the Jordanian and Palestinian leaderships that it could swiftly cripple their economies and trigger existential crises in which banks would suffer terminal runs, the governments would fail to pay their employees, and the economies would sputter to a halt,” said Middle East scholar and analyst Rami G. Khouri. Disagreement in the Arab world over how to respond to Mr. Trump’s Jerusalem decision and Mr. Abbas’ defiance has taken on even larger significance with the battle over a United Nations General Assembly vote on the issue. Mr. Abbas instructed his diplomatic representatives to ensure the passing of a resolution that condemns the US move despite a US threat to cut off aid to countries that vote in favour and at the risk of the Trump administration deciding to close the office of the Palestine Liberation Organization (PLO) in Washington. The link between Israeli-Palestinian peace making and Iran, and by extension Yemen, is, moreover, likely to become undeniable when Mr. Trump next month must decide whether to uphold the 2015 international agreement with Iran that put severe restrictions on its nuclear program in exchange for the lifting of sanctions. Under US law, Mr. Trump has to certify Iranian compliance every three months. In October, Mr. Trump refused to do so. He threatened to pull out of the agreement if Congress failed to address the accord’s perceived shortcomings within 60 days. Congress has refrained from acting on Mr. Trump’s demand that Congress ensure that Iranian compliance involves accepting restrictions on its ballistic missile program that is primarily designed to counter perceived US and Israeli threats, and support of regional proxies. A study by the International Institute of Strategic Studies (IISS) concluded that to counter challenges posed by regional insurgencies, failing states and extremism, Iran was likely to expand its weapons acquisition program to include surface- and air-to-air missiles, advanced fighter aircraft, tanks, advanced mines, and anti-ship cruise missiles. Concern that proxies that fought in Syria could turn their attention to Yemen was enhanced by Ali-Reza Tavasol, a founder of the 20,000 man-strong Fatemiyoun Division, an Iranian-led Afghan Shiite militia group. “Our war is an ideological war and does not recognize geography and borders. Anywhere oppressed people need help, we will be present there and assist them,” Mr. Tavasol said. Mr, Tavasol’s statement echoed earlier remarks by Ismail Ghani, the deputy commander of the Revolutionary Guard’s Quds Force, who asserted that Fatemiyoun fighters did “not recognize borders to defend Islamic values.” Afghan officials alleged that some Fatemiyoun fighters has already been dispatched to Yemen. At the end of the day, the Saudi-Iranian rivalry is being fought on the back of the Yemenis who are paying a horrendous price. That is unlikely to change as long as Saudi Arabia sees its struggle with Iran as an existential battle. And to be fair to the Saudis, they have good reason to perceive Iran as an existential threat. Not because Iran engages in asymmetric warfare by using proxies, supporting groups like the Houthis or propping up the regime of Syrian President Bashar al-Assad. 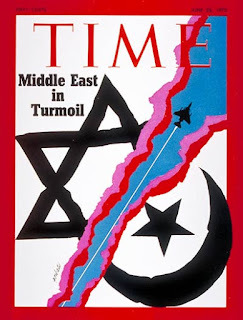 But because post 1979-Iran, even if t were to only sit back and do nothing, poses an existential threat in much the same way that the popular Arab revolts of 2011 posed an existential threat. Iran experienced, alongside Russia, the 20th’s century only true revolution in which a regime and a political system was overthrown. It was a revolution that toppled a monarch and an icon of the United States. It was a revolution that introduced an Islamic system of governance that has whatever limited degree of popular sovereignty. That is the threat, it constitutes an alternative to an absolute monarchy that claims religious legitimacy and is seeking to ensure its survival. And if that were not enough, Iran is one of three Middle Eastern nations, that, irrespective of what state of disrepair they may be in, have the building blocks to be regional powers. The other two are Turkey and Egypt. They have large populations, huge domestic markets, battle-hardened militaries, an industrial base, highly educated populations, geography and a deep sense of identity rooted in empire and/or thousands of years of history. Saudi Arabia has money and Mecca. If Saudi Arabia and the UAE learnt a lesson during the era of US President Barak Obama, it is that nothing is permanent and that countries need to assert themselves. Yemen is an expression of that lesson. Mr. Trump has given the kingdom and the emirates the umbrella they needed. Saudi regional power is to a large extent dependent on an Iran that is hampered by US-led efforts to contain it. Again, to be fair, the UAE has been better than the Saudis at exploiting the opportunity. Saudi Arabia has so far ended up with mud in its face. The war in Yemen is backfiring and threatens to create even bigger challenges in the longer term. In a toughening of US criticism of the kingdom’s conduct of the war, Mr. Trump’s nominee for the post of the State Department’s legal counsel, Jennifer Newstead, suggested that Saudi Arabia could be violating U.S. and international law by restricting the flow of humanitarian aid in Yemen. British international development secretary Penny Mordaunt issued a similar warning. A determination that the kingdom is in violation would, amid widespread international criticism of the humanitarian crisis in Yemen sparked by Saudi military action, put at risk US support for the intervention, involving US assistance in mid-air refuelling of Saudi and Emirati fighter planes, the provision of precision-guided munitions, and the sharing of intelligence. Moreover, with dissent repressed, it is difficult to gauge what public opinion in the kingdom is. Prince Mohammed has so far delivered long-overdue social changes but has yet to deliver on his economic reform plans. There is good reason to question the degree to which he will be able to deliver, not only because there are legitimate questions about his plans but also because of the way he has gone about implementing them. The recent arrests of scores prominent Saudis under the mum of an anti-corruption campaign and the financial settlements being negotiated for their release raises questions about what kind of checks and balances a new Saudi Arabia would offer and defy the principle of the rule of law. No doubt, Prince Mohammed is an enormously popular figure. The problem is that he has created enormous expectations that have not been managed. Moreover, 40 years of Sunni Muslim ultra-conservatism rooted in a history of at least 200 years of ultra-conservative thought cannot be erased with the stroke of a pen. Prince Mohammed’s social changes are as popular as they are controversial. In a recent survey, young Saudis said they wanted change: they wanted to date women, they wanted to party, they wanted to drive fast cars, and, yes, they wanted good paying jobs. When asked whether they realized that those same rights would apply to their sisters, they pulled back. In a recent illustration of contradictory attitudes, a Saudi beauty queen withdrew from a Miss Arab World contest after being attacked and threatened online. Similarly, Saudis want jobs but are unprepared for a merit-driven labour market rather than one that offers cushy government jobs. The long and short of all of this is that the war in Yemen cannot be seen independent of the convulsions of change that have enveloped the Middle East in a convoluted and often violent process with no end in sight. The wars in Syria and Iraq are dying down. Yet, without policies that ensure that all groups in society feel that they have a stake in society, the seeds for renewed conflict are being sown. The same is ultimately also true for Yemen. Whatever one thinks of Mr. Obama, he got it right when he told journalist Jeffrey Goldberg that Saudi Arabia will have to learn to share the Middle East with Iran. Talks aimed at transferring US nuclear technology to Saudi Arabia serve as an indicator of where the Saudi-Iranian rivalry is heading as well as the strength of the informal Saudi-Israeli alliance against Iran. The possible transfer could spark a new arms race in the Middle East and constitutes one explanation why Saudi responses to President Donald J. Trump’s recognition of Jerusalem as the capital of Israel were muted and limited to rhetorical statements. Mr. Trump’s decision was perhaps most challenging for the Saudis, who as custodians of Islam’s two holiest cities, would have been expected to play a leading role in protecting the status of the city that is home to the faith’s third holiest site. Saudi Arabia was represented at this week’s summit of Islamic countries in Istanbul that recognized East Jerusalem as the capital of Palestine by its foreign minister, Adel al Jubeir, rather than the king, crown prince or another senior member of the ruling family. 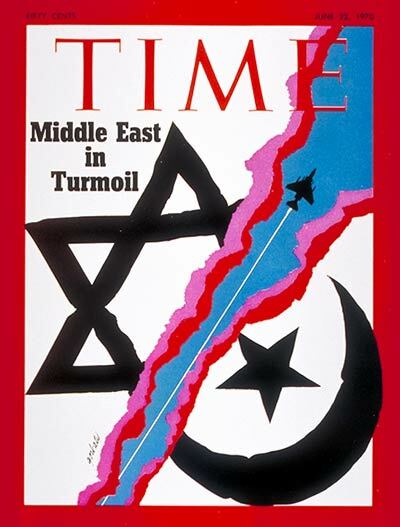 The difficulty for the Saudis is not only their close cooperation with Israel, willingness to increasingly publicly hint at what long was a secret relationship, and their position as the US’ closest friend in the Arab world, who reportedly was willing to endorse a US Israeli-Palestinian peace plan in the making that would fail to meet the minimum demanded by Palestinians and Arab public opinion. With Mr. Trump backing Saudi efforts to counter Iranian influence in a swath of land stretching from Asia to the Atlantic coast of Africa despite mounting US criticism of the kingdom’s conduct of its military intervention in Yemen, Riyadh has a vested interest in maintaining its close ties to Washington. While having been put in an awkward position, international condemnation of Mr. Trump’s Jerusalem move has also increased Saudi leverage. Mr. Trump’s support for Saudi Arabia as well as his transactional approach to foreign policy that aims to further US business interests holds out the promise of tipping the Middle East’s military balance of power in favour of the kingdom. In the president’s latest effort, his administration is weighing allowing Saudi Arabia to enrich uranium as part of a deal that would ensure that bids by Westinghouse Electric Co. and other US companies to build nuclear reactors in the kingdom are successful. Past US reluctance to endorse Saudi enrichment and reprocessing of uranium has put purveyors of US nuclear technology at a disadvantage. Saudi Arabia agreed with the US in 2008 not to pursue enrichment and reprocessing but has since backed away from that pledge. “They wouldn’t commit, and it was a sticking point,” said Max Bergmann, a former special assistant to the undersecretary of state for arms control and international security. Testifying to Congress in November, Christopher Ford, the US National Security Council’s senior director for weapons of mass destruction and counterproliferation, refused to commit the Trump administration to the US restrictions. The restrictions are “not a legal requirement. It is a desired outcome.” Mr. Ford said. He added that the 2015 international agreement with Iran that severely restricts the Islamic republic’s nuclear program for at least a decade, made it more difficult for the United States to insist on limiting other countries’ enrichment capabilities. Saudi Arabia plans to construct 16 nuclear power reactors by 2030 at a cost of an estimated $100 billion. Officially, Saudi Arabia sees nuclear power as a way of freeing up more oil for export in a country that has witnessed dramatic increases in domestic consumption and contributing to diversification of its economy. It would also enhance Saudi efforts to ensure parity with Iran in the kingdom’s ability to enrich uranium and its quest to be the Middle East’s long-term, dominant power. Saudi Arabia has large uranium deposits of its own. In preparation of requesting bids for its nuclear program, Saudi Arabia in October asked the US, France, South Korea, Russia and China for preliminary information. In addition to the United States, the kingdom has in recent years concluded a number of nuclear-related understandings with China as well as with France, Pakistan, Russia, South Korea and Argentina. Mr. Trump’s apparent willingness to ease US restrictions services his campaign promise to revive and revitalize America’s nuclear industry and meet competition from Russia and China. Saudi contracts are crucial for Westinghouse, a nuclear technology pioneer whose expertise is used in more than half of the world’s nuclear power plants. Westinghouse declared bankruptcy in March because of delays in two US projects. A deal that would lift US restrictions in return for acquiring US technology could enmesh Saudi Arabia in bitter domestic political battles in Washington evolving around alleged Russian interference in the election that brought Mr. Trump to office. Controversial Trump campaign aide and short-lived national security advisor Michael Flynn sought to convince Israel to accept the kingdom’s nuclear program as part of his efforts to promote Russian nuclear interests in the Middle East. Mr. Trump’s willingness, against the backdrop of uncertainty about his readiness to uphold US adherence to the 2015 agreement with Iran, could unleash an arms race in the Middle East and North Africa. Mr. Trump recently refused to certify to Congress that Iran was compliant with the agreement. Dropping restrictions on Saudi enrichment could not only fuel Saudi-Iranian rivalry that has wreaked havoc across the region, but also encourage other recipients of US nuclear technology to demand similar rights. The United Arab Emirates and Egypt have accepted restrictions on enrichment in their nuclear deals with US companies as long as those limitations were imposed on all countries in the Middle East. Saudi Arabia has long been suspected of having an interest in ensuring that it would have the ability to develop a military nuclear capability if ever deemed necessary. For decades, Saudi cooperation with nuclear power Pakistan has been a source of speculation about the kingdom’s ambition. Pakistan’s former ambassador to the United States, Husain Haqqani, asserted that Saudi Arabia’s close ties to the Pakistani military and intelligence during the anti-Soviet jihad in Afghanistan in the 1980s gave the kingdom arms’ length access to his country’s nuclear capabilities. “By the 1980s, the Saudi ambassador was a regular guest of A. Q. Khan” or Abdul Qadeer Khan, the controversial nuclear physicist and metallurgical engineer who fathered Pakistan's atomic bomb,” Mr. Haqqani said in an interview. Similarly, retired Pakistani Major General Feroz Hassan Khan, the author of a semi-official history of Pakistan’s nuclear program, has no doubt about the kingdom’s interest. The report concluded that the nuclear agreement with Iran dubbed the Joint Comprehensive Plan of Action (JCPOA) had “not eliminated the kingdom’s desire for nuclear weapons capabilities and even nuclear weapons… There is little reason to doubt that Saudi Arabia will more actively seek nuclear weapons capabilities, motivated by its concerns about the ending of the JCPOA’s major nuclear limitations starting after year 10 of the deal or sooner if the deal fails,” the report said. 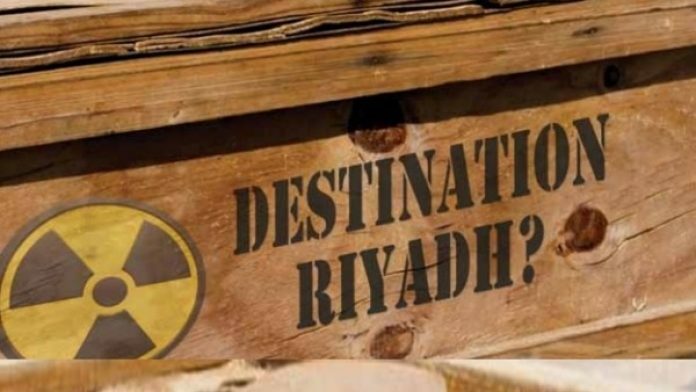 Rather than embarking on a covert program, the report predicted that Saudi Arabia would, for now, focus on building up its civilian nuclear infrastructure as well as a robust nuclear engineering and scientific workforce. This would allow the kingdom to take command of all aspects of the nuclear fuel cycle at some point in the future. 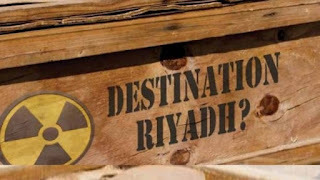 “The current situation suggests that Saudi Arabia now has both a high disincentive to pursue nuclear weapons in the short term and a high motivation to pursue them over the long term,” the Washington Institute said.